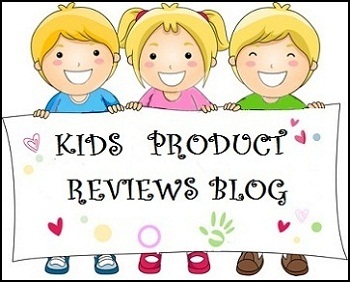 Disclaimer: The images used in this post are for illustration only. They are meant to be used as generic images for the items discussed and are in way associated with any brand promotion. You can use any item from any brand to achieve these results. 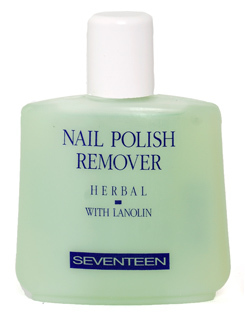 Nail polish remover can be used to remove stubborn sticker gum from utensils and other articles. A few years ago I bought cutlery and there were stickers around the neck of each spoon and fork. I tried every possible thing to remove the black gum left behind but it won’t come off. Finally, I tried nail polish remover and it came off in a jiffy. 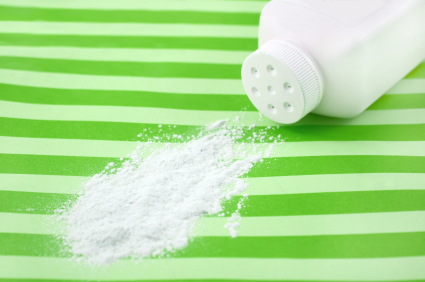 It can also be used to remove paint and nail polish stains from certain surfaces. Ever got your dress spoilt with curry stains while attending a party? 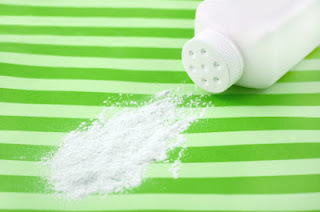 Simply sprinkle a lot of talcum powder on the stain and rub it in. It will immediately absorb most of the oil and the food color. Scrape off the yellowish greasy powder and then sprinkle and rub more powder into the stain. Fold it away keeping the stained side up so it does not spoil the rest of the dress. By next day the stain would be gone or almost gone. The sooner you treat it with talcum powder the better the results. Works like magic for the worst grease spots on Silk. When you are knocked down with bad cold with runny nose and can hardly open your eyes, simply sniff some activator powder that comes with your facial bleach cream. Usually a lot of this is left over after your cream is used up. This has ammonia and the strong smell instantly shoots up to your brain and gives immediate relief. Learnt this in the chemistry lab during school time. Cleansing milk is an excellent cleanser for leather goods from shoes to wallets to belts to bags, jackets, handbags… anything leather. Simply put some cleansing milk on a ball of cotton and cleanse the leather item like you would clean your face with it. For difficult to reach areas in your purse folds, clean using a Q-tip/ear bud dipped in cleansing milk. Gives new life to leather items. Helps remove the fungus during rainy reason. Have been doing this since school time. Seals cuts in skin: When I get a cut in my skin and have to do laundry or dishes or anything that involves the cut’s contact with water, simple Band aid comes off, even the water proof one doesn’t stay for long. I simply cover the cut with some nail paint. Colored or clear nail paint is your choice. That seals the cut, prevents the water from getting in and helps speed up the recovery. Burns for a few seconds but provides great protection. Marking for differentiation: When my mom and I are using similar combs, I mark one of them with nail paint to differentiate. Same can be used for utensils when you/your kids go camping and take utensils along, which may mix up with others. You can mark an initial of your name or simply a colored dot on your item. Marking for exactness: If there is a hot and cold water mixer in your bathroom, use nail polish to mark the exact position of the hot/cold water knobs/lever, at which you get the ideal water temperature. Put a mark/dot on the knob and one on the wall and the two should be opposite, just like you set temperature for your clothes iron. 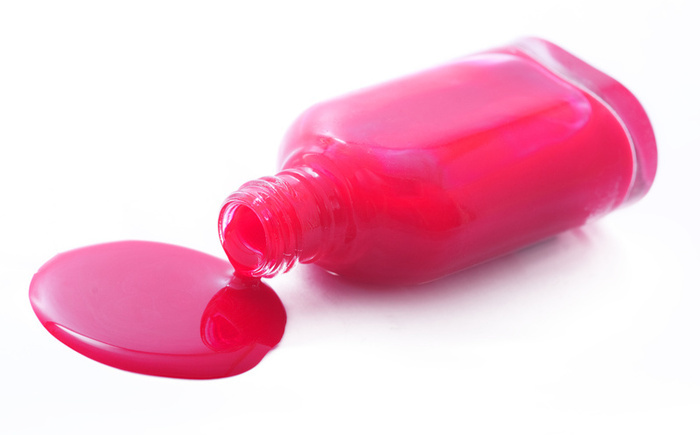 Color Coding: Anything poisonous in the home can be marked with red nail paint so you can even see from a distance that there is something children need to stay away from. Lamination: When I have to courier some documentation, I usually apply clear nail paint on the written name and address just in case it may get rub off with water. It laminates that area. 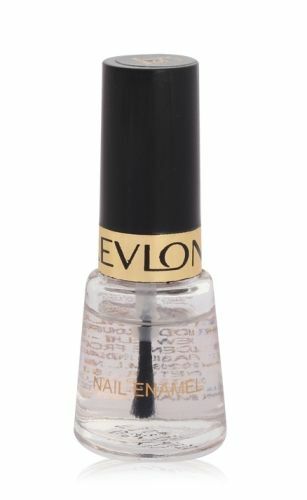 If you are allergic to metal fashion jewelry, simply coat a thin layer of clear nail paint on the area that comes in contact with your skin. Let it dry and you are ready to wear it without the fear of any skin reaction. Rust proofing: Apply clear nail paint under the base of any metal containers in your kitchen or bathroom, which may spoil the surface with ugly rust stains. You can use old clear nail polishes. Sealing buttons: Applying clear nail paint on the thread on buttons seals the thread and makes the buttons stay longer on your shirts/dresses. 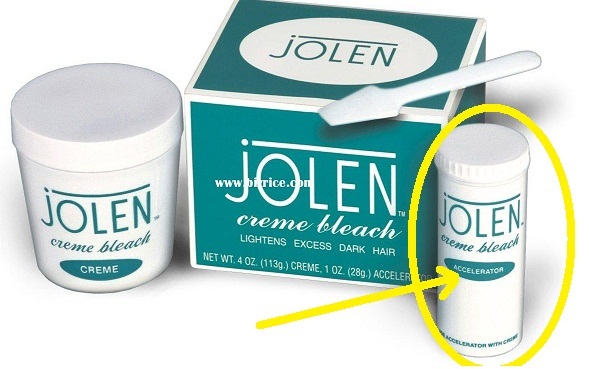 Just be careful when applying, so you don’t drop any on your clothes. If a small thread is coming out of the button, which may just be waiting for a pull to take the button off the shirt, seal it with clear/transparent nail paint as a temporary solution. Threading a Needle: When your mom or you are finding it difficult to thread a needle, just dip the tip of the thread in a nail paint and wipe off the extra paint between your thumb and finger or with a paper tissue. The tip will harden in a few seconds and you can easily pass it through the eye of the needle. Particularly helpful if you are into jewellery making and at times may not be using a needle to thread the beads together. 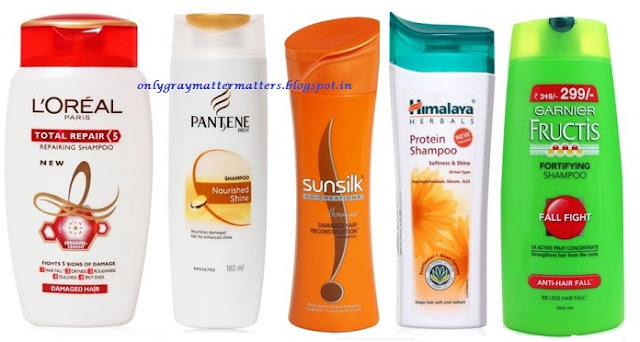 Shampoos are the best cleanser for your combs, hair brushes and even make up brushes. Just dilute some shampoo and dip the combs/hair brushes/ makeup brushes in it till clean. Usually works within a few minutes and then rinse thoroughly with clear water. You can also directly rub shampoo in the base of wet combs/hair brushes (where there is lint and grime) and leave for some time. 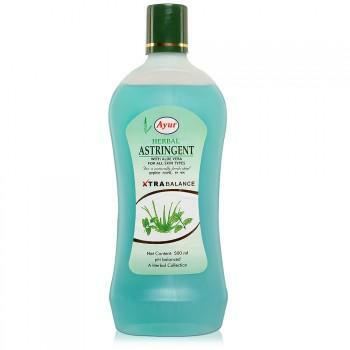 Astrigent can be used on insect bites to soothe the stingy feeling. 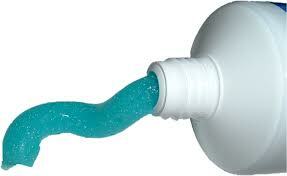 Skin Burns: Tooth Paste can be used on skin burns for immediate relief. White toothpaste applied to pimples and left overnight can help dry down the pimple/zit. Cleaning Silver Jewelry: The traditional white toothpaste can be used to shine blackened silver jewelry. Just rub the silver jewelry with tooth paste and all the blackness starts coming out immediately. Let the jewelry sit for 2 minutes and wash with plain water. Ta da, your silver jewelry sparkles like new! You can also try it on blackened metallic jewelry, works in most cases. 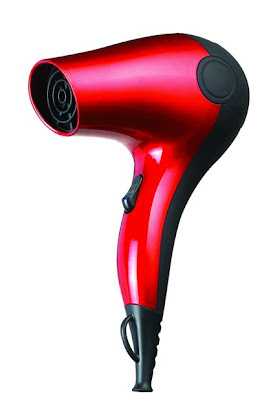 If your watch / cellphone or any electronic item happens to get soaked into water and stop functioning, the first thing to do is to switch them off, open and clean with a cloth to soak excess water and then dry up using a hair dryer. That’s what the phone repair companies also do. I also used hair dryer to repair my washing machine. I had to dry up a pipe and create vacuum in it before refitting it. Hair dryer did the trick for me. Rub on a stuck zipper to help it run smoothly. Apply to rusted surfaces/ rusty-squeaky door handles or hinges, to ease up the rust and then wipe clean excess grease. 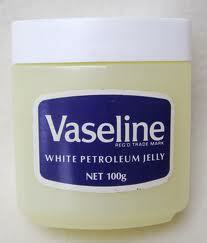 Vaseline also helps remove eye makeup easily. Helps dissolve dried up oil curry stain on hard surfaces. If you don’t want to rub off hardened food stains from your precious furniture with wet cloth, just dab some Vaseline and let it become soft. Wipe off with a paper tissue. All the oil and stains should be gone. If a ring or bangle is stuck on your finger/arm, Vaseline helps to easily ‘slip’ it off your body without hurting you much. 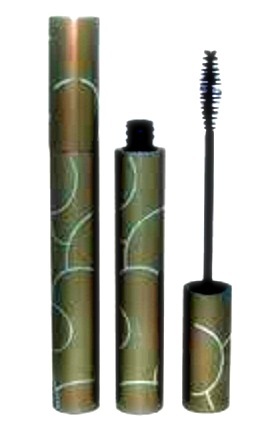 Mascara can be used to cover a gray hair here and there on special occasions. This is helpful only when you have just a few grey hair, which does not require hair coloring. This needs practice because you can over apply and make your hair hard or you may not be able to apply properly to cover the grey. It does help, but practice in advance. Old liner brushes can be used during nail art for drawing lines or as a dotting tool or for making intricate designs during pot painting. Old mascara bottles can be refilled with castor /almond/coconut oil to easily apply to eyelashes at night, particularly during winters. Make sure to clean them thoroughly before using and also that the bottle is made from good quality plastic. Do not re-use Cheap plastic for long. Bindis can be used for body art, nail art and traditional big red bindis can also be used for doing half moon maincures. For bindis, make sure you stick the bindi a few times to a paper or another surface to reduce the gum for a cleaner manicure. Used soap bars can be used to collect tiny glass pieces from the floor. If you happen to break something and can’t find the tiny glass particles, just gently wipe the wet soap bar on the floor and all glass particles will stick to it. 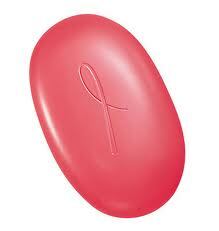 Soap is also helpful to maintain visibility while driving car in mad rainy weather. Scrub some soap in the windshield and it will not let the rain blur your vision. You will need to reapply it frequently as the rain wipes away the previous layer. I hope you find this article interesting and useful. Do add any more tips you know of, in the comments below. Thank you Ruby :) and I like that you always specify in the comments what u liked. Truly shows you read. You have great eye for detail. Thanks so much Gopa :) Happy to see you visit my blog and when Googlers show appreciation for something, feels all the more great, since we have such high standards of quality. 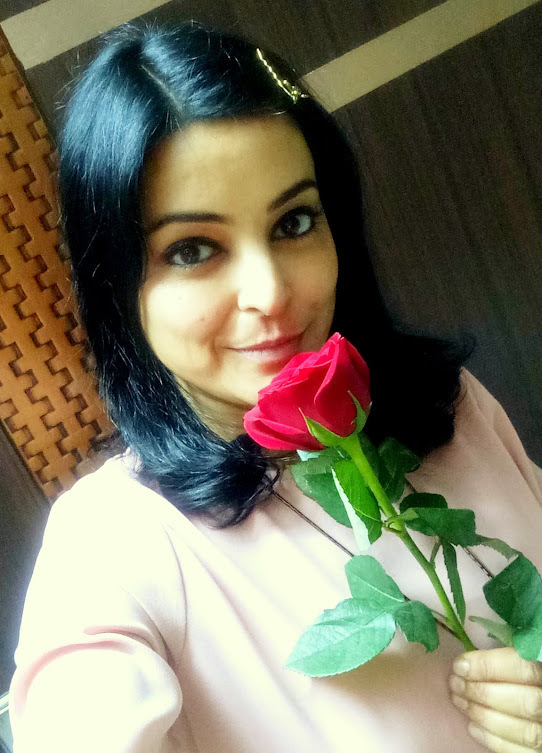 Thanks Supriya, your excitement makes it so worthwhile. Some of these practical tips do make life easy. One more use of coloured nailpolish i want to add on...u can use same coloured dots on your lock and key.This will help you to save time in pairing the lock and key in emergency. Awww now that's an awesome addition by you Rashmi. Thanks for this tip. At my home, even though not all of us go out together in one go and we rarely have to lock up, still it irritates me to see many locks and keys mixed up when you need only one pair. Great tip. I am gonna mark them now :) Thank you! Thanks for letting me know Tej that you got some useful points out of this post. Makes me happy to know that. If ever you use these, do let me know.